Those things that happened long ago were written for our learning. In the narrative of the creation in the book of Genesis, we learn that the true God made all things we see and we can know His reality by the intricate design of His creations. Through the Flood, we see the extent to which God hates sin and how much He loves man that He created. 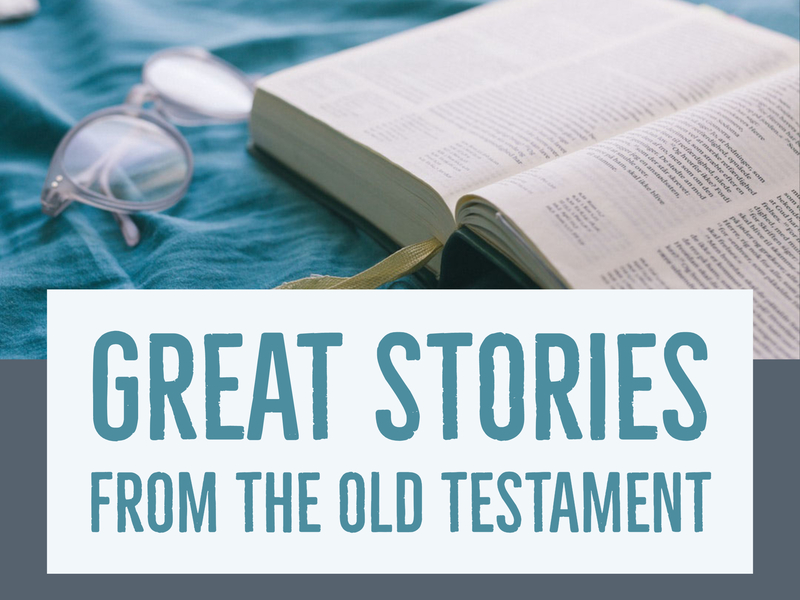 In the narrative of the burning bush, we see how God used Moses and can use us in spite of our shortcomings. Through the narrative of David and Goliath, we're encouraged that though we'll all face our giants, we'll overcome through trust in the LORD. Before the world began, God had a plan for His creation. His eternal purpose is that humanity will be united in one family in Christ Jesus our LORD regardless of race or socio-economic status. Not merely that they'll be united on earth, but to be united in a home with Him in Heaven. Each figure of the Godhead had a role in creation. The Father was the grand architect of the plan. The Son executed the plan and the Holy Spirit revealed the plan unto men. There's been a great deal of confusion and even false teaching surrounding Paul's statement in 1 Cor 10:17 where he said, "For Christ did not send me to baptize but to preach the gospel." To understand what Paul meant by this phrase, we need to see it in the light of the division happening at Corinth. Men were declaring themselves followers of the one who baptized then, but Paul instructed them to follow Him in whose name they were baptized. In Matthew 21, the Pharisees challenged Jesus, asking by whose authority He was teaching. In turn, He challenged the heart from which they were asking the question. God has always required man to teach by His authority, so Jesus received their question. Authority was required for those things taught under the Old Covenant and the same is true under the New Covenant. We can establish authority the same way the early church did: through approved examples, direct statements and inescapable conclusions. Without forgiveness, man is without desire to live. We read about the tremendous love of God, but it was demonstrated by His choice to forgive our sins. We see God's powerful forgiveness in that He forgave David for his sin with Bathsheba. It was clear that the LORD wanted David brought back in his holiness. He wants people to be forgiven and turn back to Him. Had God's desire been to crush David, he could have done so easily, but throughout the account, we see how God through Nathan dealt with him in order to bring him back. According to Jesus, God the Father has a form that no man has seen (John 5:37). When God the Father talked with Moses, He made reference to His face, hand and back (Exodus 33). These are ways to describe the LORD God with attributes that we understand. The Father Himself is described as being love, light and Spirit. Thus, we must ask ourselves, "What color is love? What color is light? and What color is Spirit?" God the Father is not a color, but we, His creation, are a rainbow, a grand reflection of the God who made us.